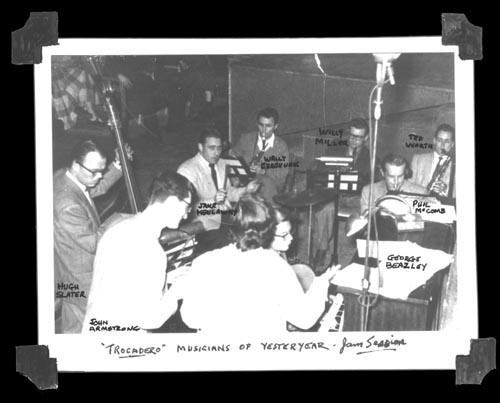 The other day I was going through some of my folks old pictures and came across a photo of them and some friends sitting at a table at the Trocadero 1949. The photo is enclosed in a thin cardboard protector with advertising on it for both the Trocadero and a photo shop called Foto-Craft. Just for the fun of it I used the search engines of the web and what do you know--there's your web page. Enjoyed the history section and I'm sure my folks must have enjoying themselves with entertainment of that caliber. The couple on the right are my parents Irene and Hal Robinson and they were on their honeymoon. 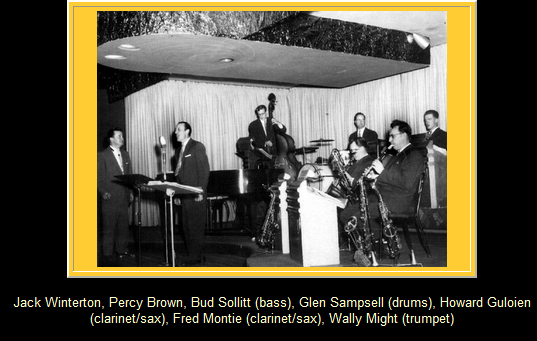 Thanks for the site and here's a couple of digital shots of yesteryear. 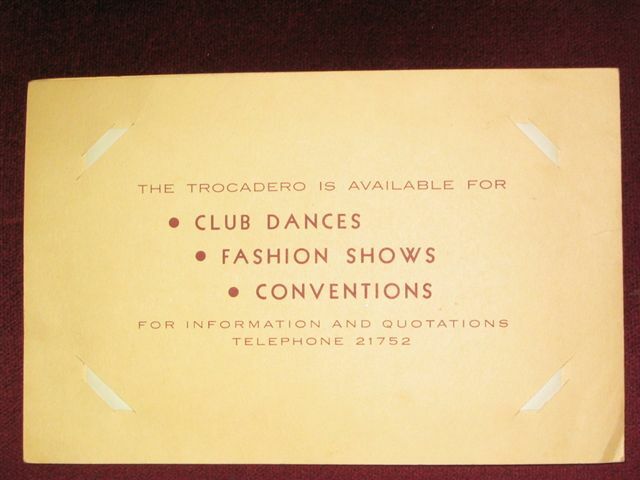 I can recall going to the Trocadero in the later 1950s, probably 1956 or 57, for Saturday afternoon dances run by a DJ probably from either CJCA (just down the street from the Troc in the Birks building) or CHED whose offices and studios were on 107 St. 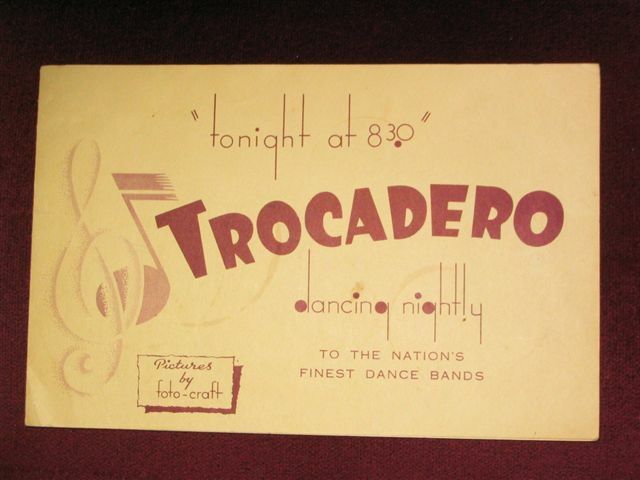 Sometime in the 1950s, I would guess 1955, the Troc sold off its tables. One of them is shown on this web page. My father bought one and converted into a student desk for me to use, as I was entering Grade 7. The table had a shelf underneath. (Why? In those days, liquor was not available at public functions. Even beer was limited to "beer parlours" with separate ones for men and women. An innovation was the introduction of "Ladies and Escorts". Each municipality set its own rules. St. Albert, for example, allowed men and women to drink together, but Edmonton did not.) My father told me that, at the Troc, the shelf was for "storage" of a "26" or a "mickey". The Troc served soft drinks and, once a table had a round of soft drinks, the bottle would come out of storage to fortify the soft drinks. The shelf was what my father used to build a drawer for the desk.